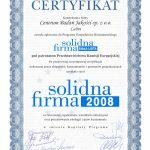 W lipcu bieżącego roku firma CBJ sp. z o.o. 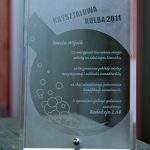 znalazła się w elitarnym gronie podmiotów gospodarczych, którym “Puls Biznesu” przyznał tytuł Gazeli Biznesu 2014. 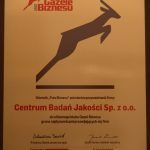 In March this year our Company once again joined an elite group of business entities by being awarded Gazele Biznesu (Business Gazelles) 2010. 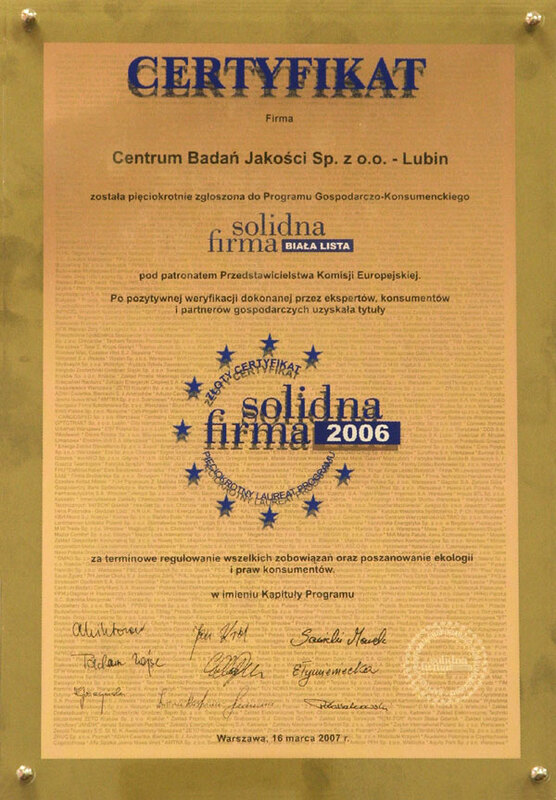 In February this year, after positive three-stage verification performed by experts, consumers and business partners, the Committee of the Economic and Consumer Programme “Reliable Company – the White List,” under the auspices of a Representative of the European Commission, once again awarded our Company the title of Reliable Company 2008 for prompt fulfilment of all commitments and respect for ecology and consumer rights. 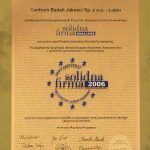 In January this year our Company once again joined an elite group of business entities by being awarded Gazele Biznesu 2007. 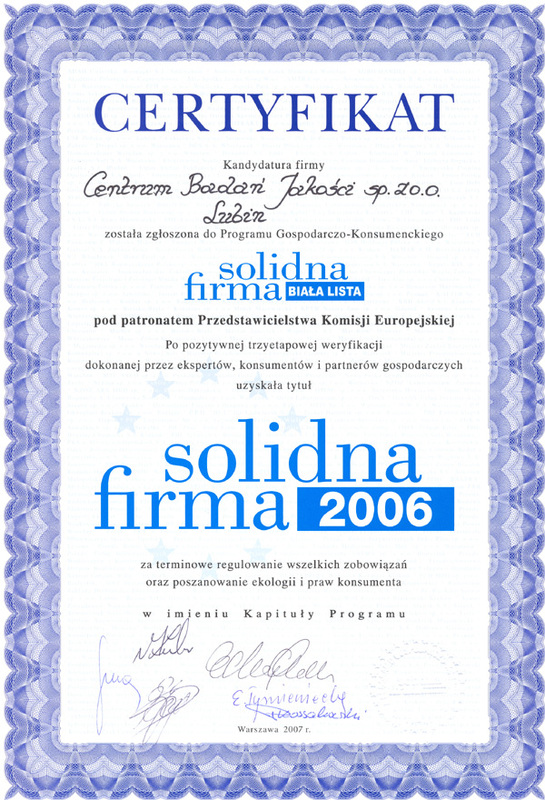 In February this year the Committee of the “Biała Lista” (White List) Economic and Consumer Programme under the auspices of a Representative of the European Commission once again awarded our Company the title of Reliable Company 2007 for prompt fulfilment of all commitments and respect for ecology and consumer rights. 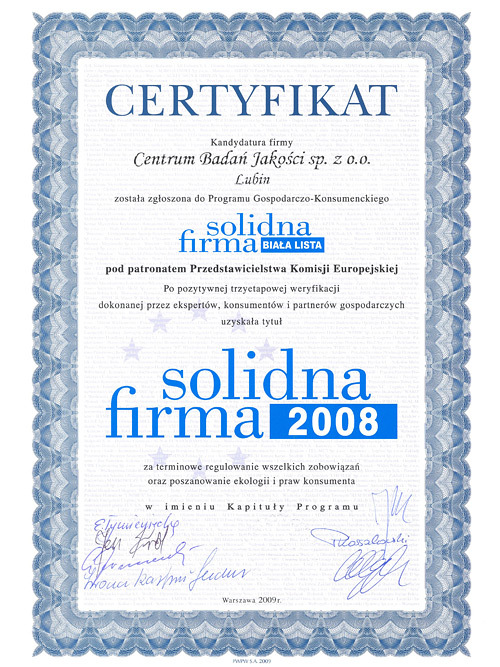 In June this year our Company received the title of Reliable Employer of Lower Silesia 2007, awarded by the Media Partner Group from Katowice. 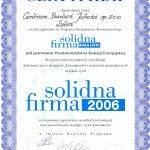 On 19 November 2008 CBJ sp. z o.o. 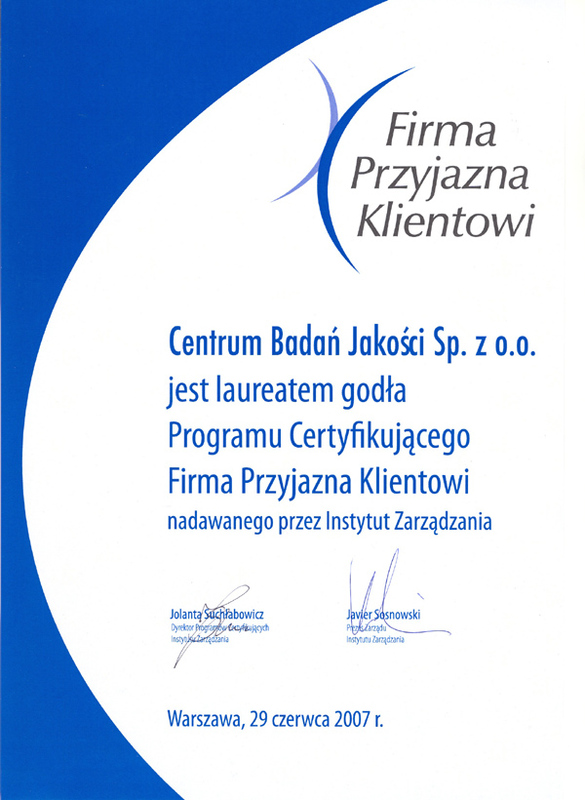 received the “Customer-Friendly Company” Certification Programme award, granted by the Management Institute. CBJ sp. z o.o. 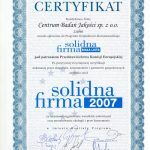 received a “Reliable Company 2006” Certificate within the “Biała Lista” Economic and Consumer Programme. CBJ sp. z o.o. 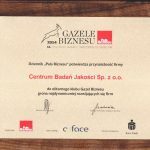 was awarded the title of Gazela Biznesu 2006 (Business Gazelle). 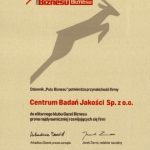 The Committee of the Economic and Consumer Programme awarded CBJ with a Reliable Company Golden Certificate. 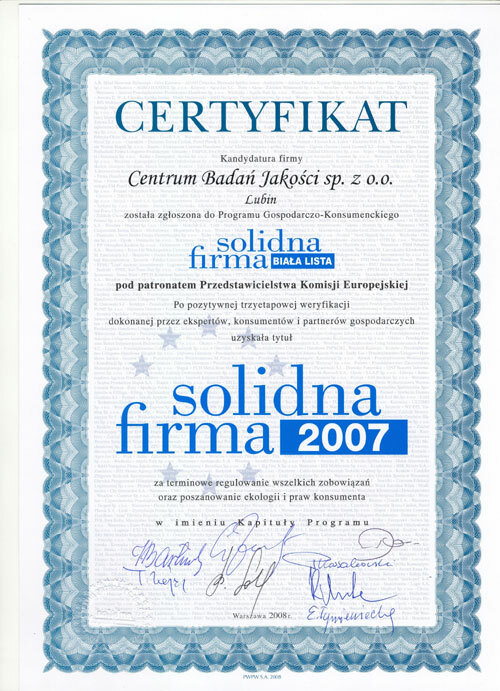 The Certificate is a special award for companies that successfully passed the verification process five times. CBJ sp. 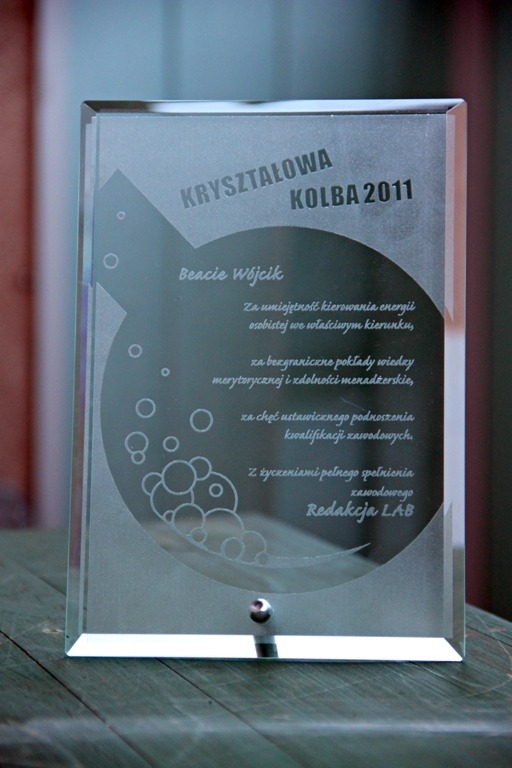 z o. o. was the winner of the Forum Jakości Quality International 2007 competition. We were honoured with silver medal in the “top-quality management” category – a QI order. 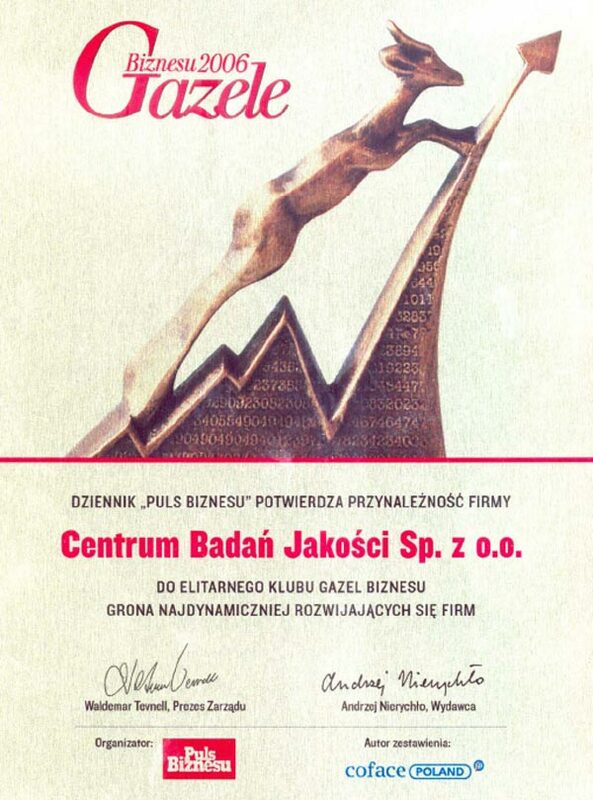 The competition was organised under the auspices of the Ministry of Regional Development, Polskie Forum ISO 9000 and Polish Agency for Enterprise Development. CBJ sp. 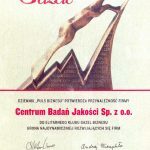 z o. o. won the international competition “EuroCertyfikat,” edition 2007, where it received the golden statuette. CBJ sp. z o.o. 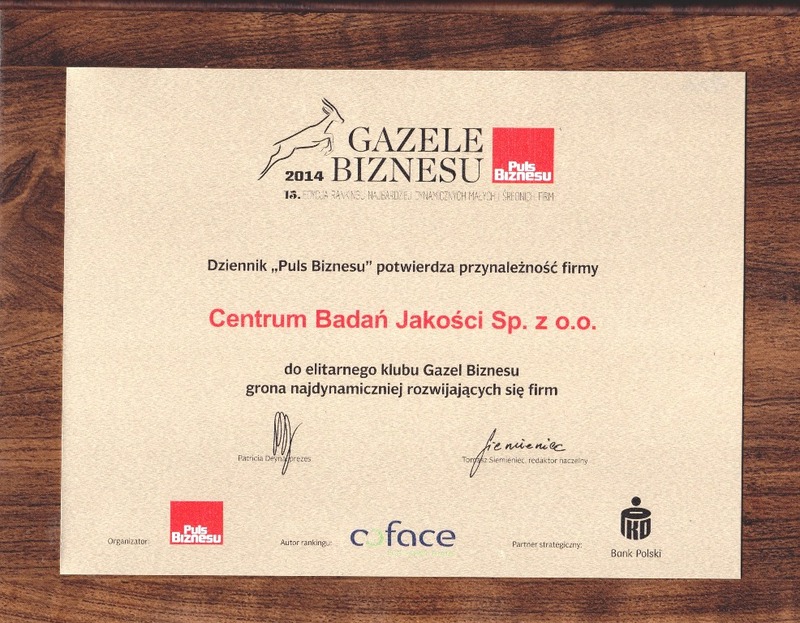 received the “Customer-Friendly Company” Certification Programme award, granted by the Management Institute.